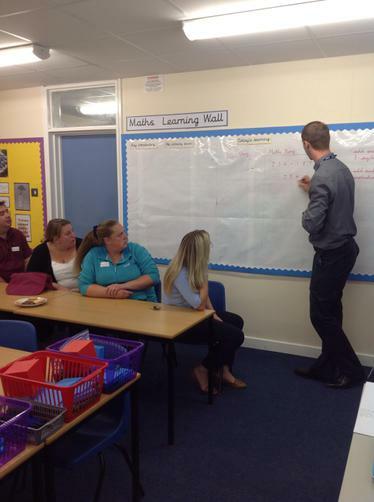 Over the past year we have been developing how we teach maths in school. The new maths national curriculum is now much more challenging therefore we have looked at the best practice for delivering it and have introduced these strategies into school. 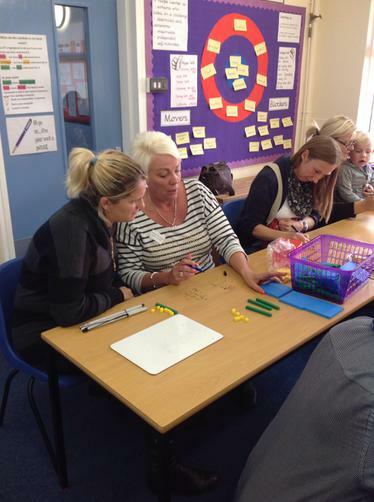 This includes the Concrete, Pictorial and Abstract (CPA) approach which gives the children opportunities for learning maths using practical resources and representing their understanding in a pictorial form before moving onto the more traditional way to record maths problems. At the learning session, we found out how to learn fractions in a variety of ways including using bottles and water and fraction strips. 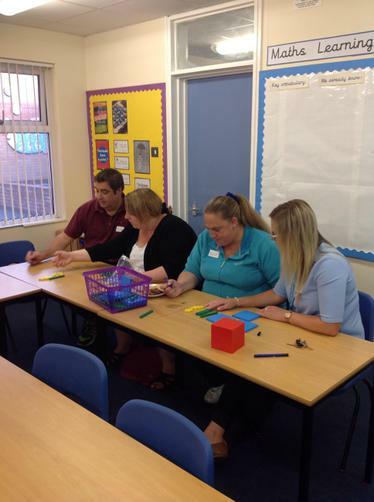 Everyone had a go at calculating the area of triangles. All answers were put in a draw and Isaac in Year 5 won a £20 gift voucher of his choice for getting the answers right! Did you find the session useful? How we teach addition and subtraction. 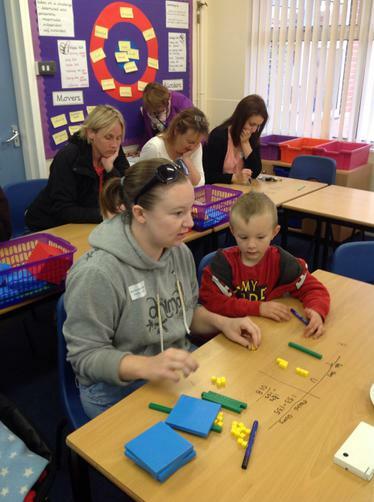 To continue to develop our parents understanding of how we teach maths at our school so they can successful support their children at home, we ran two sessions to share how we teach addition and subtraction. We modelled the method we would use to solve addition and subtraction calculations and parents had a go at solving some calculations using the resources and methods their children would be using. As part of e-safety week, parents were invited to an information session around the dangers of social networking and the internet as a whole. We focused on Facebook and the potential dangers that are associated with the site, many of which the children who use Facebook are unaware of. Parents and carers were also updated on how we, as a school, are addressing e-safety issues and the support we can provide both children and parents. 'Yes. The video really emphasised how easy it is for information to be 'out there'! The Power of Reading is the strategy that the school is using to develop reading. The approach involves the children engaging in high quality text and a range of activities to allow them to show their understanding of what they are reading. These activities include drama, writing and even artwork! The Power of Reading is having a positive impact, with all year groups making good or better progress. In addition to the Power of Reading, we also use Literature Circles to develop reading and Talk 4 Writing for writing. Please see the presentation below for further details. The focus of this information session was to share with the tests that your children will be taking in May, to look at how you can support them at home and to explain the SATs tracker folder that your child will be bringing home with them. 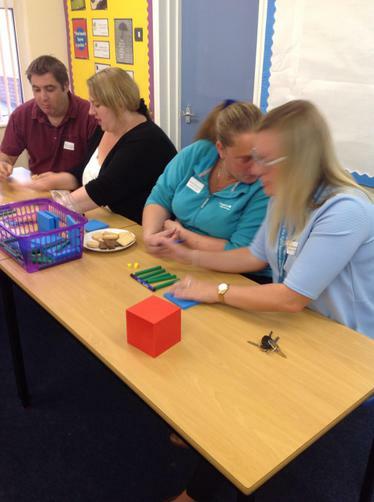 Parents and carers who attended experienced the 'delight' of the mental maths tests for themselves so that they could understand more what it will be like for the children. Please look at the presentation for more information. If you would like to have anything from the presentation clarified or are unsure of what to do with the SATs tracker, please do not hesitate to contact one of the Year 6 teachers. During this session we discussed the changes to the national curriculum and the new higher expectations for the children to achieve. 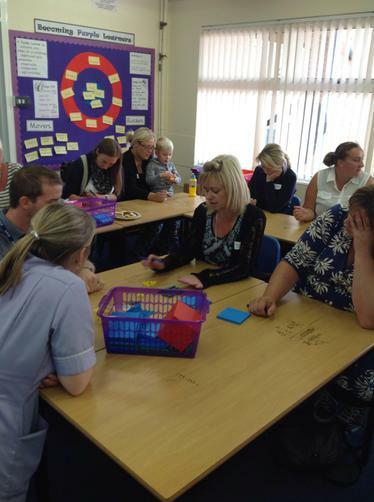 We then looked at our new curriculum and shared how the 'enquiry' approach works at our school. This was followed by a look at the new assessment requirements and the changes that schools are required to make. 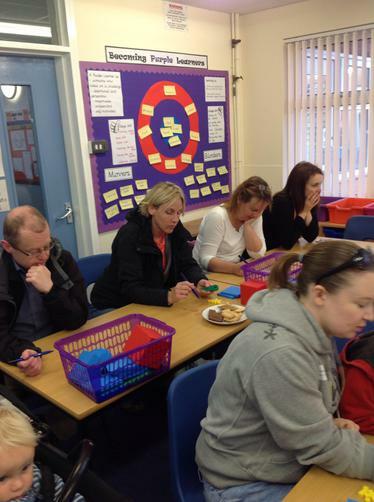 There was an opportunity for parent/carers to have a say on the level of information that we report and how we can keep them up to date with how their child/ren are doing in school. Finally, we shared our 'becoming purple learners' strategy that has been introduced to the children. Please see the presentations from the evening below. Information regarding 'Purple Learners' can be found in the children's section.